The area is KVA E2 and covers Bordeaux. The designation of the strongpoints in Bordeaux is "Bo". The main trip was made in the year 2005. 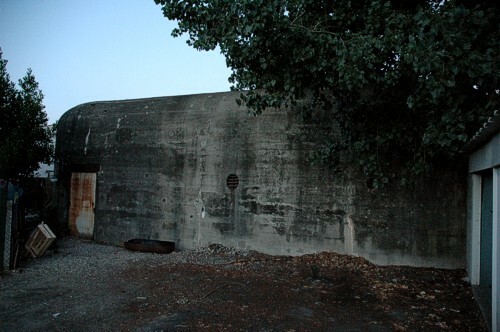 The U-boat bunker and the nearby built fuelbunker are for sure highlights. Parts of the Landfront still remain and we were happy to find a few 627 with still the armoured plates present. We had no time to visit the defences in Bordeaux on the eastern bank of the river Gironde. We like to thank Jean François for his help in preparing our trip. In the suburb of Bordeaux-Bruges we found this unknown bunkertype.